When I was about 8 months pregnant with Graham, my oldest child, Randy and I did a Lamaze weekend out of town. Most OB’s recommend you do some kind of class to prepare you for childbirth and the hospital where we ultimately delivered offered a six week course. Randy had just started working at Microsoft and was spending a ridiculous number of hours there trying to get up to speed. The thought of trying to get back across the lake in time for a class stressed him out, so we opted to cram all those classes into one weekend instead. Sometimes things happen for a reason and I think we ended up going this Lamaze route so we could meet an incredible group of people. There were 12 couples, all due within a few months of each other, and over the course of the weekend and talking about things like contractions and bed-rest and colostrum, we got to know each other. We were all in this incredibly heady time in our lives – about to have our first baby. Scared, excited, scared and um, scared. The weekend ended and we drifted away from each other and back to our lives. The first couple had their baby just days before we had Graham. The husband emailed their news out to the group and, now that we were connected, all the rest of the couples followed suit. Through this email connection, the women started bonding. Once all of us had our babies, we began to get together with our brand new babies. At the time I was in a PEPS group (Program for Early Parenthood Support), an organization I believe in and support. I even lead a group myself when Graham was a year old. But my particular group was a little funny. Everyone was nice but there were some big overachievers in there and everyone seemed to have it together. No one cried, everyone’s baby seemed to be sleeping, nursing was going well for all the moms – in short, no one was real. I went to those meetings making sure I had showered, did not cry, bit my lip the whole time, and left feeling like a failure. It was the weekly gathering of Lamaze ladies where I could be myself. It was my lifeline. Being able to walk out of the house unshowered, crying baby in tow, get to a friend’s house who was in a similar mental and emotional space as me, and be able to cry myself – out of exhaustion, frustration, fear, and hormones – is what saved me in those first few months. One in our group gave us this quote: “You make friends for a reason, a season, or a lifetime.” It seemed we had made lifelong friends. Sadly, within a couple of years, 6 of the 12 couples moved away. We all got busy with our lives, husbands, work, second children. I have remained extremely close with two of the women – I consider them two of my closest friends. I wish I saw everyone else more frequently but busy lives and distance makes it difficult. Donna was one of our true gems and she had the nerve to North Carolina before we knew it. Donna and I have been keeping in intermittent touch on Facebook and I will occasionally get a comment from her on this blog. She emailed last week to say that she and the family were heading to town and could we gather? Of course! 6 adults, 10 kids, 2 pizzas, 2 salads, and 1 cake makes for a rocking good time. Graham was in heaven because all the six-year-olds were girls. Spencer was in heaven because there were so many people to play with. It was so nice seeing them all as such big kids and seeing how truly far we have come. In true Lamaze group fashion, we shared some of the joys and some of the frustrations we are experiencing. And we got to sing “Happy Birthday” to one of our group whose birthday is Friday. I have been wanting to practice my layer cake technique ever since watching this incredibly helpful video. A friend’s birthday is the perfect excuse for practice. This is a Holly B’s recipe and it’s hard for me to believe I have never made it. Holly mentions in her book that this is the standard birthday cake in her family and now I know why. 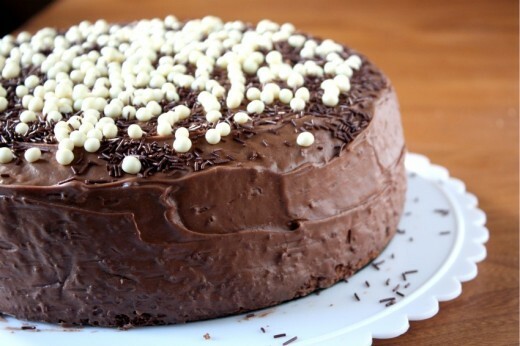 It’s a perfect chocolate cake. The cake itself is moist, the frosting is to die for and the whole thing is incredibly easy and quick to make. Yes, really. My only quibble is that there was not enough frosting. The cake is very crumbly so it needs a crumb coat, but there was not enough for me to do that. No matter, sprinkles cover a lot of error. But next time I will one and a half the frosting recipe to make sure there is enough to really cover the cake and for little fingers to dip into. I‘m giving you the recipe as written in the book. Remember, I would at least one and a half the frosting recipe – even double it and do a crumb coat. 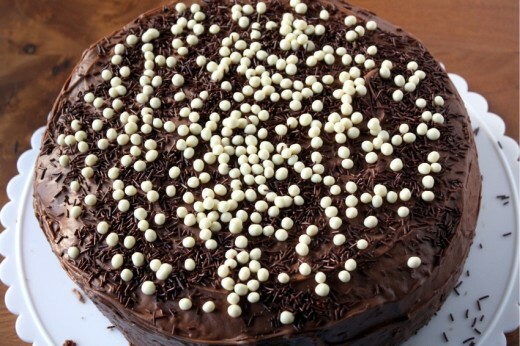 To do so, spread a thin layer of frosting all over the cake and place it in the freezer for about 15 minutes. Then frost the rest of the cake. This will keep little crumbs from marring the smooth appearance of your masterpiece. Preheat the oven to 375ºF with the rack in the center position. Butter and flour 2 9-inch round cake pans. Melt ¼ of the butter (½ of one stick) and combine with the cocoa powder and boiling water in a small bowl. Stir until smooth and set aside. In the large bowl of an electric mixer, cream the remaining butter with the granulated and brown sugars and vanilla. Add the eggs and beat until smooth. Mix in the sour cream, then the reserved cocoa mixture. Finally, dump in the flour, baking powder, baking soda, and salt and mix just until combined. Divide the batter between the 2 pans and smooth the tops with a rubber spatula. Bake the layers for 10 minutes, rotate the pans and bake for 10 to 15 minutes more or until a toothpick just comes out clean. Don’t overbake – moistness is your goal. Cool the cakes on a rack. Put the sour cream, powdered sugar, vanilla, and salt in the bowl of a mixer. Whip to combine. Stir the melted butter and cocoa together. If the mixture begins to harden, dribble in a little more melted butter and beat until free of lumps. Add to the sour cream mixture and beat until smooth. 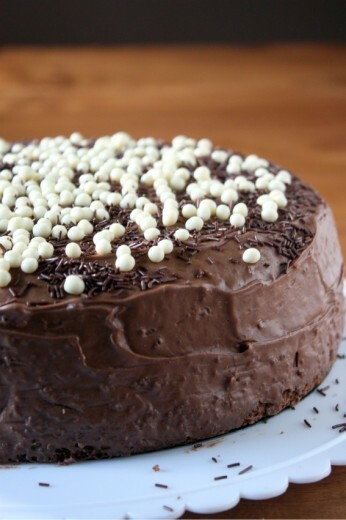 Put one cake layer top-side-up on a serving plate and spread frosting generously to within ½-inch of the edge. Place the second layer on top, bottom-side-up. Smooth the remaining frosting over top and sides. Some people love breakfast. Other people only eat breakfast because they know they are supposed to and they know that if they don’t, they will inhale an entire table’s worth of food for lunch. I put myself in the second category. I never feel hungry in the morning and, consequently, I eat one of the same three things every single day. Having a rotation of three things is actually fairly recent. Up until this year, I ate a Luna bar every day for nine years. Nine years. Now I alternate with thrilling things like yogurt and cereal. 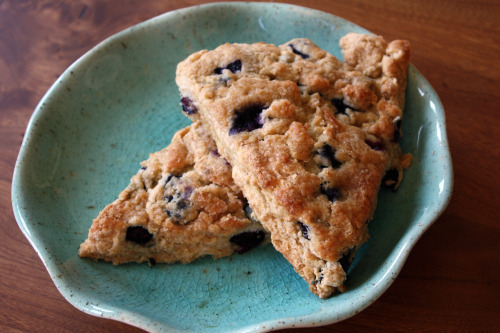 Sweet scones are all well and good but how about a savory scone? 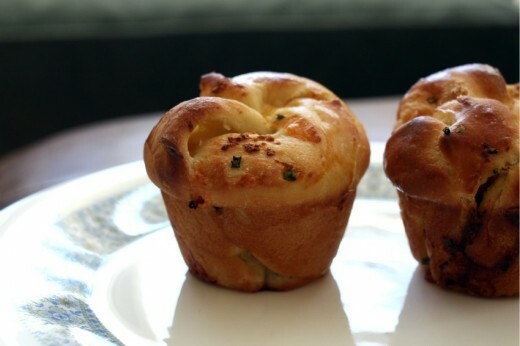 I made these with a combination of dill and aged Cheddar but there are many other combos that would work. Roasted red pepper and feta, scallion and chèvre, thyme and Gruyère all sound good to me. 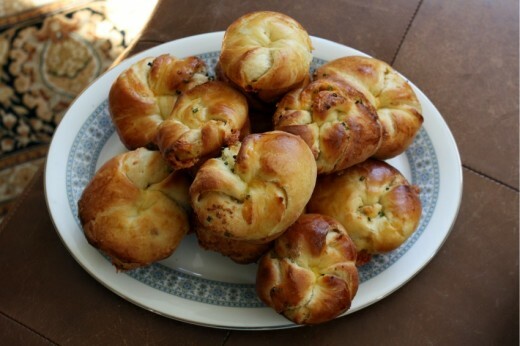 I like the idea of serving these with some soup on a fall day in addition to offering them to friends for breakfast. 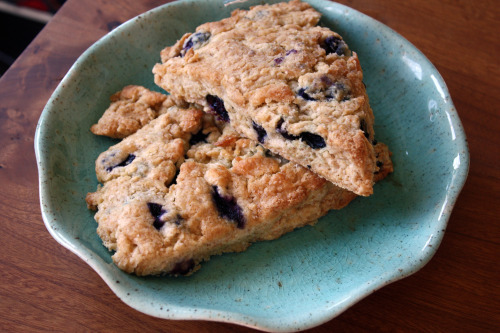 For this basic recipe, you use a (homemade) scone mix. After I made the blueberry ones, I had just enough left over for another batch. I kept the mix in the refrigerator and was so happy to have some on hand so I could make treats for my guests. 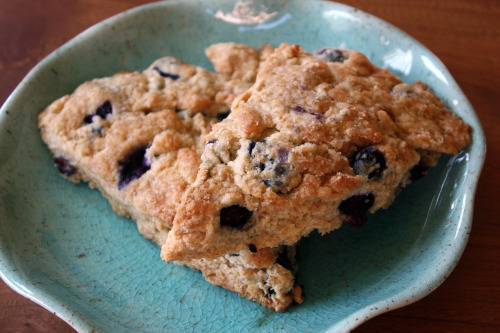 For this recipe, you will need approximately half the Scone Mix. 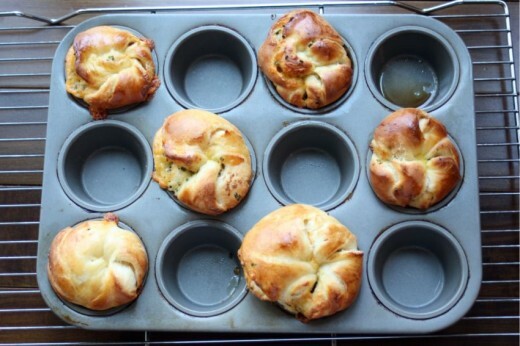 Or if you want, you can double the Savory Scones and freeze half of them. Lots of options. Preheat the oven to 375ºF with the rack in center position. 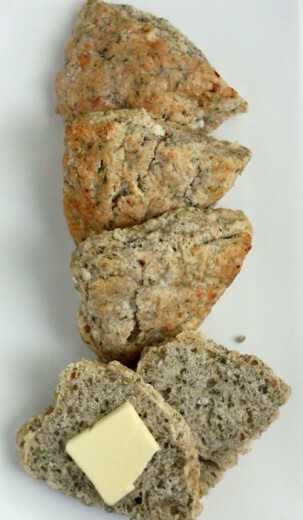 In a medium bowl, toss together the Scone Mix, cheese, dill, shallot, and pepper. Drizzle the buttermilk over the surface and blob in the cottage cheese. (DT: “Blob” is Holly’s word!) Stir until mixed. If the dough is too dry to stick together when pressed, add a bit more buttermilk. You want to be able to make a nice firm shape. Turn the dough onto a lightly floured surface and pat into two disks about 1½-inches thick. Cut each disk into 6 wedges and arrange 1-inch apart on a cookie sheet. Bake in two batches if they don’t fit on one sheet. Bake 15 minutes, rotate the pan, and bake another 10 to 15 minutes, until the scones are light brown on top and darker on the bottom, and no longer soft and doughy in the center. When judging doneness, don’t rely on the color of the tops alone. The tops can look quite light and undone while the bottoms are getting quite brown. Recently, I taught a cooking class to a fun and engaging group of women. I decided to focus on spring produce since it is finally showing its face in our wet climate. Normally I don’t tackle desserts in my classes (simply because of time), but I thought it made sense to make something with rhubarb. I had planned to make this cake but in flipping through that much-beloved book, I found something even easier. There are people who love rhubarb. My husband is one of them. Me – I don’t really get it. It’s sour. Why do I want a dessert that has something sour in it? But, after making this dessert twice in a week, it’s kind of growing on me. 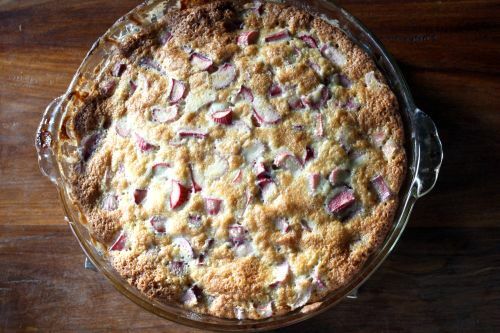 This recipe is so simple and it tastes so good, especially if you are in the rhubarb-loving camp. 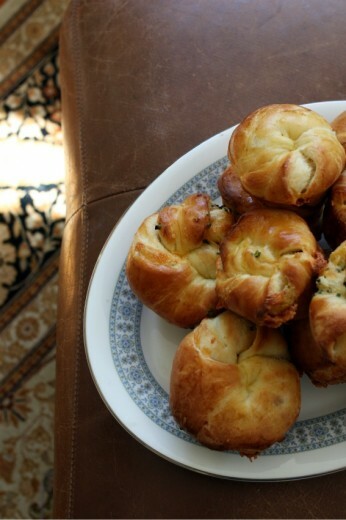 Even if you think you can’t bake, you can make this. Preheat oven to 375 degrees. Adjust the rack to the center position. Butter a 9-inch glass pie plate. Tumble the sliced rhubarb into the pie pan. The rhubarb should come to within ½-inch of the rim. Sprinkle the ¾ cup sugar on top and set aside. In a big bowl, mix the remaining 1/3 cup sugar with the oil and egg. Add the flour, baking powder, salt, milk, and vanilla and combine into a smooth batter. Now dumb the rhubarb from the pie dish into the batter. 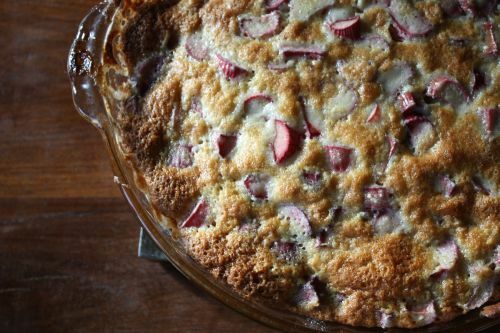 Stir gently to incorporate the rhubarb, then pour the whole works back into the buttery-sugary pie dish. Spread evenly in the dish, but leave the surface lumpy and interesting-looking. Sprinkle with a little more sugar and bake 40 to 50 minutes, until caramel-colored on top and bottom. Serve warm, in bowls, with vanilla ice cream or sweetened whipped cream.